From the dryer vent to the firepit…dryer lint is flammable so why not start a lint fire on purpose and enjoy a back yard bon fire? Altamonte Springs, FL – The Dryer Vent Cleaning Wizard suggests an interesting way to encourage people to clean dryer vents to eliminate a fire hazard. Since dryer lint is the leading cause of dryer fires, why not put it to better use in the backyard firepit? Robert Moore owns Dryer Vent Wizard of Orlando Florida, specializing in dryer vent service while educating his customer about dryer fire prevention and energy savings. Robert warns homeowners that a dryer fire burns very hot and spreads very quickly. 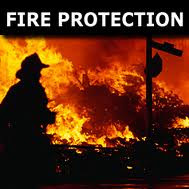 A dryer fire can completely destroy a home in the length of time it takes to walk around the block. Use dryer lint, an empty cardboard egg carton and some old candle stubs to make your own fire starter. Place a wad of dryer lint into each cup of the egg carton and melt the candle wax. Pour the melted wax into the egg carton, soaking the dryer lint balls. When the wax hardens, use the individual sections for your fire starter. Simply light a torn edge of the egg carton and place under the firewood to get things burning. By using items that would normally be thrown away, people can do their part to protect the planet by reducing the waste that goes into our landfills. Using dryer lint is a great way to save money by eliminating the need to buy expensive fire starting agents. It works just as well and is quite abundant in the lint screen and dryer duct. Dryer vent cleaning has many great benefits including eliminating a fire hazard, improving dryer performance, increasing dryer efficiency and gathering free fire starting material for the next big bonfire party! Service technicians with Dryer Vent Wizard (http://www.youtube.com/watch?v=MNQlpcwrfrc) are encouraging consumers in their neighborhood to schedule a dryer vent inspection and service now to ensure dryer safety and efficiency. The Dryer Vent Cleaning Orlando Fl Wizard serves area residents with top quality customer service. Robert’s goal as a Wizard is to educate the public on the importance of proper dryer vent installation, scheduled inspections and dryer vent cleaning service to avoid a fire hazard and promote dryer efficiency. 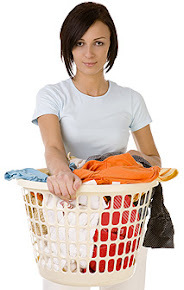 Visit http://altamontesprings.dryerventcleaningnow.com/ to learn more. 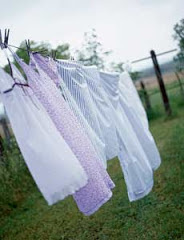 Are clotheslines making a comeback?